Welcome to Disney Extinct Attractions. My name is Cole, and I’ll be your guide on today’s proposed trip around the world and through the future. 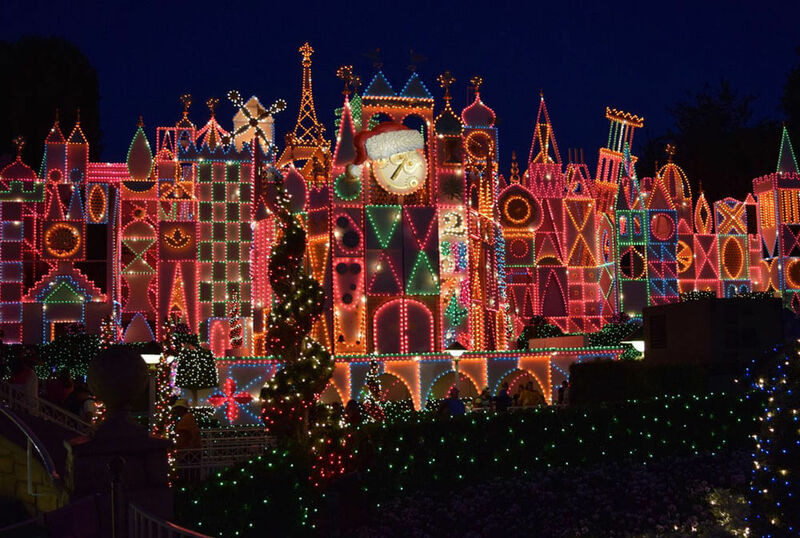 Christmas is in full swing at the Disney Parks, especially with the holiday less than three weeks away. Christmastime at the parks is always my favorite time of the year, and I cannot wait to get back and visit the Happiest Place on Earth in January (just in time, I know). To make things even better, the Disney Parks Blog is currently engaged in their first ever 12 Days of Christmas event. Starting this past Tuesday and continuing until December 16th, each day the Disney Parks Blog is releasing a special gift of information to fans. Spanning Disneyland, Walt Disney World, Aulani, and the Disney Cruise Line, there is a little something for everyone, and I’m really looking forward to the next ten days of announcements. The holiday spirit manages to permeate every Disney park, so one as unique as Epcot is no exception. With its World Showcase, the park is the perfect place to celebrate traditions from around the world, an ability exclusive to Epcot, though that was almost not the case. 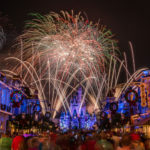 In the late 1980s and early 1990s, former Disney CEO Michael Eisner kept talking about how the 1990s would be the Disney Decade, an era full of unprecedented growth in every aspect of the company. While animated films hit this threshold (especially during the first half of the decade), many of the other areas of the company did not quite hit the mark, with the Disney Parks suffering some of the largest blows, but we’ll get to that later. In 1989, Walt Disney World opened its third park, Disney-MGM Studios, with the resort as a whole being a huge success and one of the biggest tourist attractions in the world. 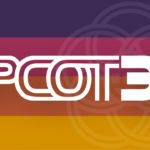 Because of this fact, Eisner decided there was no better way to emulate Disney World than to bring a version of Epcot to the Disneyland Resort; thus, WestCOT was born. Officially announced in 1991, WestCOT was going be located exactly where Disney California Adventure is today, taking up the spot of the former Disneyland parking spot. 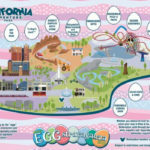 As a whole, the Disneyland Resort had remained relatively unchanged (other than new attractions) since its opening in 1955, so these changes represented a major shift in that Disneyland would move from simply being a park to a full-fledged resort. In addition to WestCOT, Eisner was also planning to add an entertainment complex that ultimately morphed into Downtown Disney. But going to WestCOT, the crown jewel of the park was going to be SpaceStation Earth. 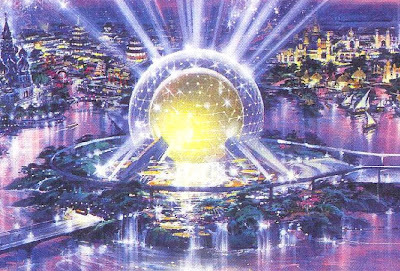 Modeled after Spaceship Earth, the golden SpaceStation Earth would have dwarfed its Epcot counterpart, standing at 300 feet tall as opposed to 180 feet. Inside, there was going to be an attraction called Cosmic Journeys. 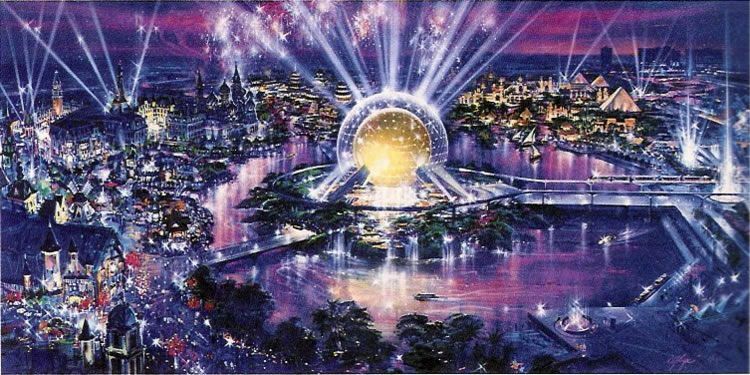 This attraction was going to serve as a spiritual successor to Adventure Thru Inner Space, presumably taking guests on a journey unlike any other. SpaceStation Earth was going to have its home on its own private island in the middle of a lake. Having a structure like that in its own little area would have made it the true focal point of the entire park, visible no matter where a guest was. All of those attractions really made Epcot what it was, so if I had even easier access to riding them, I truly would have been in heaven every time I visited the Disneyland Resort. Now WestCOT’s Future World may have been very similar to Epcot’s, but the Imagineers planned to change things up when it came to World Showcase, making a lot of changes to the dynamic of the unique area. 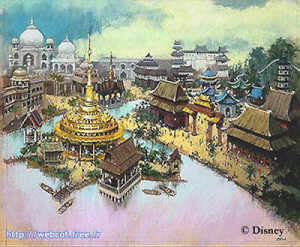 Rather than having pavilions representing different countries from around the world, World Showcase in WestCOT was going to be built around continental pavilions representing world regions. The New World pavilion was set to feature USA, Mexico and Canada. To cover the USA, the American Adventure was going to be recreated in full with some slight updates to the technology. Over in Mexico and Canada, each country was set to be represented by a live show celebrating each country’s heritage. Over in the Old World, some of the countries of Europe were going to be included, namely Greece, Russia, and Italy. There were going to be Russian and Greek shows, as well as the West Coast debut of The Timekeeper. But the biggest draw to the Old World was going to be called the Trans-European Express, where guests were going to be chased around Europe, all while having famous European buildings roll by in the background. The next stop around the World Showcase would take guests to the World of Asia. Here, guests would find architecture from Japan, China, and India, with a carousel of Asian animals tying the three of them together. What would have most excited guests, though, was an attraction called Ride the Dragon. A roller coaster through a mountain where guests would ride on the back of Chinese New Year dragons, I would guess that this attraction ultimately had some of its ideas recycled for the Animal Kingdom’s Beastly Kingdom (though, that one didn’t quite work out either). Finally, we come to the African Corner (for which there sadly was no concept art). The area was going to feature several shops and lots of smaller details to add to the aesthetic of the area. Also included were plans for an African raft ride that would have been the first of its kind in the Disney Parks. The African pavilion is the area that was most heavily adapted into future parks as far as I could tell. I couldn’t find anywhere confirming this idea, but I’m pretty sure that most of the concepts for the pavilion were ultimately adapted into the Africa section of Disney’s Animal Kingdom, especially the river raft ride. That idea was revived as Kali River Rapids, and I would even go so far as to guess that the Imagineers still had the idea in mind when it came to the development of California Adventure as seen in Grizzly River Run. But the attraction that was truly going to make WestCOT so special was called The River of Time, also known as the World Cruise. This attraction was going to be the longest Disney Park ride of all time at a whopping 45 minutes. Designed almost like the railroads, this attraction would have five ports of call with about 9 minutes between each destination. What set it apart from the railroad though, was that each leg of the journey would feature Audio-Animatronics and show various events throughout history like Da Vinci painting the Mona Lisa Michelangelo painting the Sistine Chapel. 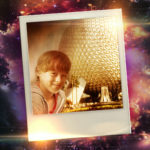 The scope of the River of Time was unlike anything we have ever seen in the Disney Parks. This attraction is certainly the one that I wish that we had gotten the most because it set an amazing precedent for all attractions to come, but alas one can only dream. 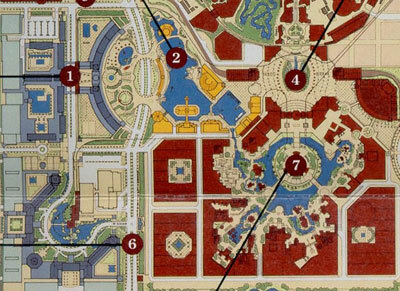 One other aspect that would have differentiated WestCOT was the plan to build hotels into the top three floors of many of the buildings in World Showcase. How this would have worked logistically, I’m unsure, but it would have been so awesome to physically stay in the park overnight. A play on the idea morphed into the Grand Californian Hotel where guests can go right from their hotel into Disney’s California Adventure. No, what really led to the demise of WestCOT? First, the mid-1990s were an extremely tough time for the Disney Parks financially because of the failure of Disneyland Paris. The money lost on the new resort led to a ton of unfinished projects during the time, in complete opposition to the time of the growth that the Disney Decade was supposed to be. But what ultimately ended any chance of WestCOT was the fact that Disney would have needed an extra 100 acres of land to complete the expansion. Citizens of Anaheim did not want to give up their land and were also afraid of how the noise of a new park would affect the surrounding area, and the project was officially cancelled in 1995. Clearly, the problems were fixed within the next ten years when Disney’s California Adventure opened. While California Adventure is great, I will always wonder what the Disneyland Resort would have been like with WestCOT. Now thinking of wondering, here are your clues for next week’s attraction to give you a little something to ponder about. These attractions were both stage shows. These attractions both starred a Fab Five characters. One of these shows was in Disney World, while the other was in Disneyland. I hope you enjoyed this look at such an interesting potential theme park. I know that I wish I could have had a taste of Epcot at my fingerprints by WestCOT having its home at the Disneyland Resort. Thanks for reading and have a magical day! 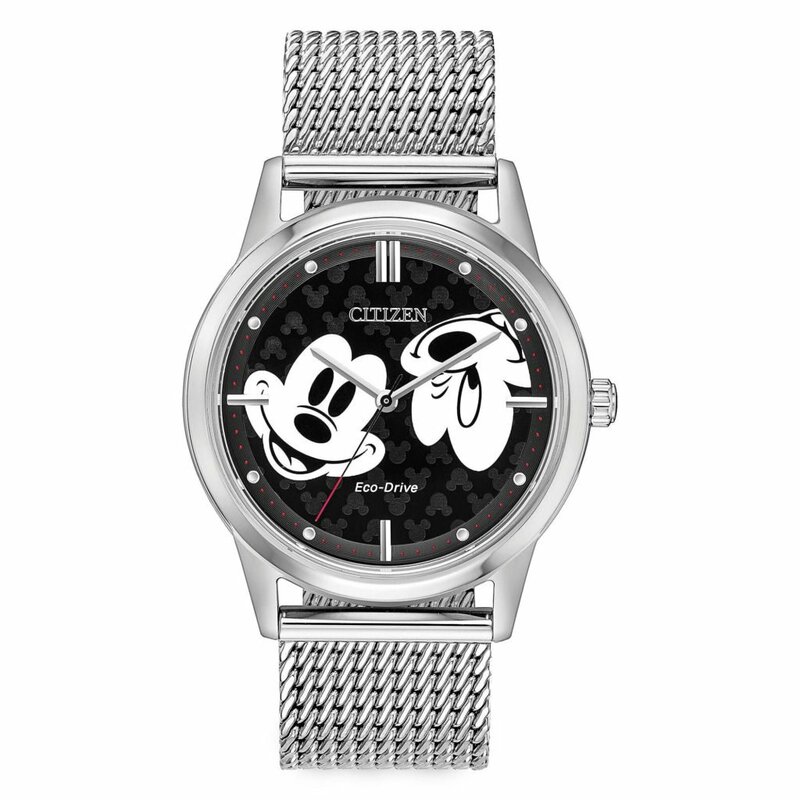 Cole Geryak is a college Disney fan making his way through the world. He has ridden every single ride in Disneyland in one day, all while wearing a shirt and tie. Imagination is his middle name, and his heart truly lies in the parks.